What are the New Horizons for Society and Economy Transformation? "Ukraine will absolutely become part of the European context. We share the European psyche," - says Yevgen Golovakha, deputy research director of the Institute of Sociology at the National Academy of Sciences of Ukraine. What else awaits the country in the future? Back in 1999, as I was driving from Luhansk to Dnipro, I remember being shocked at the quality (or should I say the sheer absence?) of roads in Dnipro Region. In 2015, when we started working as a new regional administration and first audited the local road system, I realised that nothing had improved in that department over the previous 16 years. Just ponder this: one of the country’s most industrially developed regions still could not be navigated by car. In the past three-and-a-half years we have built over 500 local roads, particularly those serving villages and small towns. 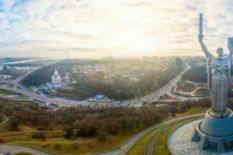 Also, for the first time in the country’s independent history, we refurbished the motorway linking Dnipro to Zaporizhia. There are nearly 1,000 schools in the region, all of them built 30 to 40 years ago (some of the buildings are actually 110 years old). Many of these establishments have outdoor lavatories. Is this a proper environment for educating children? The decentralisation initiative enabled each region to develop at will. We, for one, have been able to open 52 kindergartens. We renovate 30 schools every year. A total of 20 stadiums are under construction in the region. We have commissioned 51 new water pipelines, cleared two dozen waterways and built several new hospitals. Much as I would be tempted to call this progress, it is merely good housekeeping following 25 years of neglect. I am confident that we will have renovated all the local schools and kindergartens in three years’ time, and that our roads will be perfect bythen. Every town will get a new stadium and every village will get a new outpatient clinic. This is our plan for the region’s development, and we are working diligently to make it happen. It takes decades for society to change. Social values change very slowly. My guess is that Ukraine would need about 30 years to undergo such a change, but no-one knows for sure. Thirty years are the minimum period needed for any changes in people’s values to become apparent. The youth of today is creating a new culture. It is embracing new non-material European values such as freedom, personal fulfillment, mutual help and tolerance. However, there is still a serious gap between the values of Ukrainian society and the European values. We are actually behind even the most backward EU countries in this respect, it is like day and night. In Western and Northern Europe, the value of personal fulfillment takes precedence over one’s career: a person can fulfill themselves through public activism or a hobby and not necessarily as a business leader… In Ukraine, a successful career is still an important market of one’s achievements in life. That said, Ukraine will absolutely become part of the European context. We share the European psyche. We have yet to face serious challenges but we will get there, even if it takes us 100 or 200 years (provided that humanity still exists then). 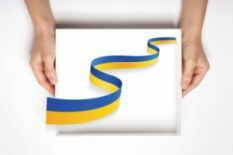 Ukrainian companies are gradually moving to recognized European and world standards of quality, and foreign investors are beginning to see Ukraine as a potentially beneficial partner. Ukraine has every chance of becoming not an agrarian but agro-technological country. We can develop, implement and test agricultural technologies and sell them globally. Such precedents already exist. There are Ukrainian hi-tech companies which use various equipment, drones and laboratories to analyze their harvest but also to give clear recommendations to farmers and companies on how they can improve their yields by developing precision farming. Ukrainian drones even fly over Australian farms. We still have a good potential in machine building. Perhaps, it would be irrelevant to say that Ukraine should manufacture its own cars but it should certainly get involved in supply chains for global companies. We should not make a Mercedes but we can make nuts or wheels for Mercedes. Ukraine can also get involved in international cooperation in the field of aircraft construction. We can supply engines for Boeing or Airbus. By the way, very few people know that Boeing has an IT centre in Ukraine employing several hundred of our software engineers. And the most promising area for investment is certainly IT. Ukraine is the world's fourth biggest exporter of IT services, employing over 100,000 highly skilled software developers. With the number of deals in this sector being on the rise, its potential is growing. I am very happy that a class of entrepreneurs is beginning to develop in Ukraine. Young people are less afraid to start their own business. For us it is also an important task to show the success stories of Ukrainian entrepreneurs and start-ups. Photos: shutterstock, provided by Yuri Holyk, Yevgen Golovakha, Yuriy Pyvovarov.